This week our special of the week is the Carolina Burger by Chef Johnny Ramirez. 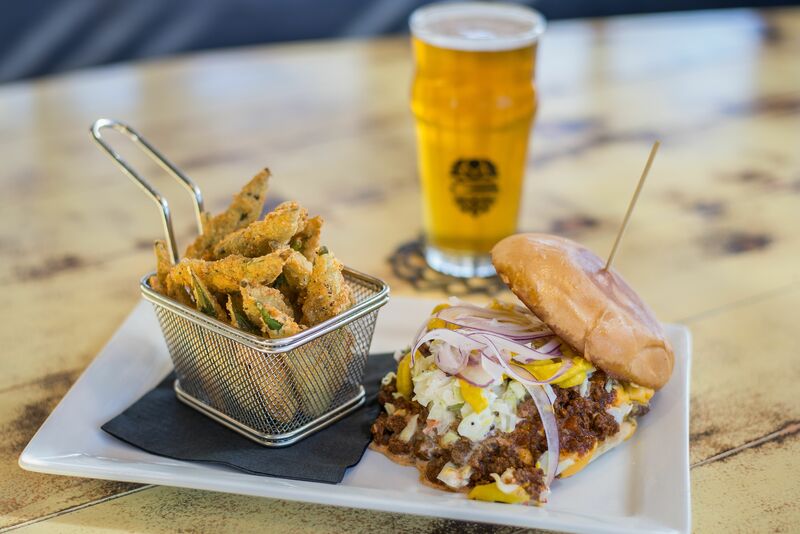 This burger is filled with not just chili but cole slaw, American cheese, mustard, and shaved red onions. With fried okra as the perfect side! We suggest pairing this burger with a Pilsner Style Beer. Make your stomach happy this week by biting into this burger!